Inscription (on recto): WG A155, East Kildonan - 1944. Inscription (on recto): NE. WG. F24 AP144 49.55N 97.07W #7 Equip. 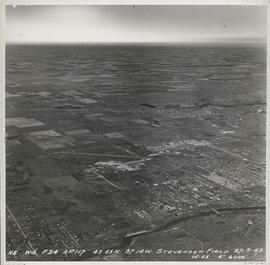 Depot Wpg [Winnipeg], 14-3-44, 15:00, 8" 2500'.